Whether it’s Aussie holidays or overseas holiday package deals, if you seek out package tours, you can really save yourself a fortune. In so many various ways, you can benefit. If you’ve never experienced tour packages, then don’t let the naysayers discourage you. Until you try it for yourself, you don’t know what you’re missing out on. There are established companies all over the world, and once you choose an operator, you can even profit from loyalty rewards schemes (the more tours you travel on), and earlybird discounts, to avoid annual prices increases. So, keep an eye out for discounted travel tours and specials that sometimes include your flights or other aspects, that can make your tours and travels that much more cost-effective. Take advantage of these 6 perks for organised travel. Consider travel tour operators, through your local ATAS accredited agent for your next holiday. Sit back & relax with vacation packages - everything is organised! Score holiday packages through your local ATAS accredited agent, and head to Europe, Canada, Egypt, America or New Zealand, where all you’ll need to do is relax. You don’t have the stress of driving or navigating in foreign lands, with regulations and weather conditions you may not be experienced in. Laid back in your reclined seat enjoying the views from the climate controlled coach (or private car for those a looking for a little more luxe), bypass the holiday arguments over missed turn-offs or accommodation fails with all the planning and organising taken care for you. Or if your destination is more volatile than your average holiday hotspot, you can be rest assured that your travel provider has you travelling more secure routes, and with respectable offshore staff. There is less to worry about, when someone else has done all the groundwork for you. Best of all, everything is laid out for you. You’re given all your supporting documentation and instructions each day. With a friendly tour guide travelling with the group to provide you with daily rundown of what to expect, and you have staff to keep you on time, tend to your luggage, and offer a friendly reminder before you depart that nothing is left behind. It’s like travelling with a security blanket, if you’re unfamiliar with travel, or your destination. However, for those more experienced, you’re not restricted either. You can rely on your tour guide, driver, translators, hotel and related staff as much, or as little as you desire. But it’s reassuring to know others are there for you, when you’re exploring to share those joint experiences, whether it’s the highs or lows. You can also pool your own knowledge, when it comes to travel tips or the region at hand. There’s often the tech-savvy go-to on-board, for knowing the safe free internet sources, resolving connection issues, and setting up the group social media accounts, to pool your shared travel diary and online archive of photos, to stay in touch. Even the multilingual traveller, to help you interpret that local cafe menu for lunch, or read those street signs, if you head off on your own. You may encounter the resident comedian and party-starter to ensure everyone gets included, and stays upbeat or motivated with unofficial impromptu nights out. Or maybe, the medic to guide anyone feeling unwell, distributing Band-aids, or giving tips to avoid getting sick. You may find the teacher or researcher to point out the facts when your guide is off the clock (which is rare). Or better yet, the amateur photographer to capture those group videos or share the perfect iconic image that you missed, to remember your travels. These are the joys of group travel, that can regularly be encountered, and that are often available, if you’re lucky. And there are welcome drinks, or organised group photos, to encourage this comradeship. Large travel and tour companies can offer such great deals, since things are done via bulk purchases and arrangements, meaning that they can often offer more cost-effective deals, than you could achieve or negotiate yourself. You can benefit from their bargaining power. Often, your accommodation and coach bus will include free internet, so you can watch the news and weather in your area, whilst you’re on the move. Or, upload those photos, keep up with the news via social media, and even iMessage, Facetime, and Skype call your family - whatever your app preference. Communication is so much easier these days, and such included extras can really make the difference. By meeting others on your tour, you can even share in cabs, food, drinks and other adventures, outside your set itinerary, along the way. This can also work out to be beneficial, to reduce the associated costs with transfers, or other aspects that you may not have pre-organised. The great thing about many tours is that breakfasts and dinners are mostly included, or optional extras can be selected, where you can add in those aspects based upon your preferences. It frequently means that lunches may be the main thing you need to arrange, and often that can be recommended on the go, as you complete your daily travels. You have the guidance of your tour guide - someone who has tried it all before! It really takes the panic out of knowing where is safe to eat, as you have an experienced consultant with you at every step. And often you get to enjoy buffets, where you can eat as much or little as you desire, to stock up yourself for the day or night ahead. Otherwise, you can select from a set menu that accounts for pre-advised dietary requirements. Some tour companies are all inclusive, with all meals and even alcohol included, so you can choose the options that best meet your budget and finances. The other good point about holiday tours and travel is that the hotels are reliable and successful. Why? Because thousands of prior guests have travelled with your tour operator. So, in most instances the hotel arrangements flow like clock-work, through vacation packages. Their hotels have been selected due to having met the previous scrutiny of travel and tour companies, who survey their guests post-tour, to iron out any inconsistencies in quality and service. Consequently, you know that most rooms will have all the promised amenities, and that the standards of cleaning and food quality have met the requirements of many before you. Whether it’s an Australia package deal, or overseas vacation package, you also have the comfort of knowing that the established itinerary and pre-included activities (plus optional extras) have also been tried and tested before.. Large and long standing travel tour operators, are the experts in group travel and providing quality tours and pointedly refining their journeys to only include the worthwhile aspects and popular pit-stops for the best holiday experience. They tend to also undertake business, and deal with the safest, best and most cost-effective operators, to undertake optional extras and recommended activities, as their reputation depends on it. So, you don’t need to worry about being ripped off with scams, or dodgy operators not meeting your expectations, particularly when you may not know the language. Whilst tour groups can ensure that you always have a translator, and understand what is happening. This allows you to rest easier, as things run more smoothly. Likewise, you can pay for optional extras upfront to avoid costly international transactions on your credit card. Or, you can choose to opt in along the way, if you feel like it. That way, you can gauge your level of energy at the time, or what everyone else is leaning towards, and select inclusions that the friends you make are undertaking. You can be assured that you’ll see the main highlights that have rated best with prior travellers. The itineraries have been researched to give you the fastest routes and optimal free time, so you avoid any wasted time. And you have the encouragement of fellow tour participants, to overcome any obstacles like fears of heights or long treks, which ensures you get the most out of every opportunity offered - as no one is left behind, in most instances. Aside from the pros outweighing the cons as outlined, there is also the potential to gain more enjoyment than with travelling by yourselves, through the growing bond that can be formed with your tour group. Whether you like it or not, travelling in close proximity to others creates a great opportunity to make lifelong friends, and can really enhance the usual travel experience. Apart from helping each other through (from taking photos to sightseeing tips, and even carrying luggage), it’s nice to have a familiar face in the crowd, when you’re in new surroundings. Whether it’s guiding you, when you miss something (like instructions), avoiding getting lost or having that second pair of eyes when you’re out and about in unchartered territory, you’ll have more people to watch out for you. The tour guide often sets wake up calls, and lists reminders, so you stay on track, and don’t miss out. Particularly for solo, younger and older travellers, a tour group can really become like a second family, especially for those longer tours. And if you’re a lady wanting to travel in a more exotic region, you and your family can have the added peace of mind, that you’re travelling in a larger vacation tour group. Often, you’re placed with travellers from your own region and age range, or fellow participants who speak your own language, so you can be content knowing that others within your group have been matched up to ensure there are like-minded individuals like you. You can make international friends, whilst gaining an appreciation of other cultures, with a pre-existing support network. You may also have the option of shared rooms if you’re single, or you can share a room with family or friends - even groups of three, depending on circumstances. This can help make things even more cost-effective. So, whether it’s in Australia or overseas a holiday tour can be a stress free break - pack your bags, check these few travel tips before leaving, and enjoy a hassle free tour travel vacation with all the perks. 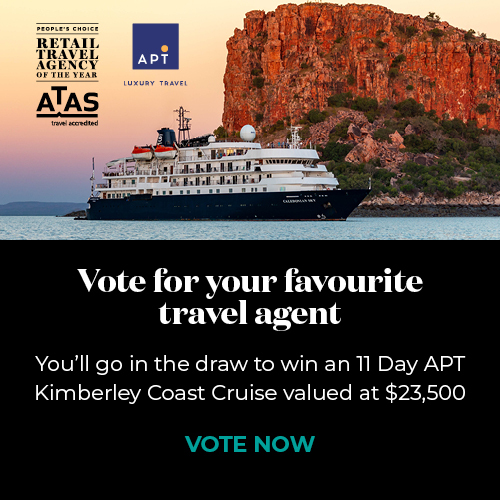 See if there’s a holiday package deal that can be customised to your needs, through your local ATAS accredited travel agent.